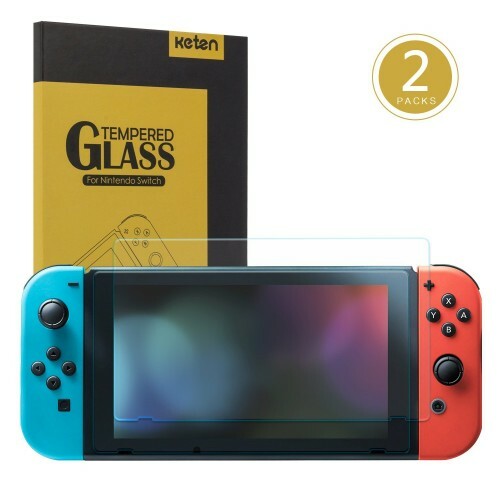 Keten Screen Protector for Nintendo Switch (2-Pack), Tempered Glass 9H Hardness/ Bubble Free/ Anti-Scratch/ Anti-Fingerprint Protective Screen Film for Nintendo Switch 2017 . 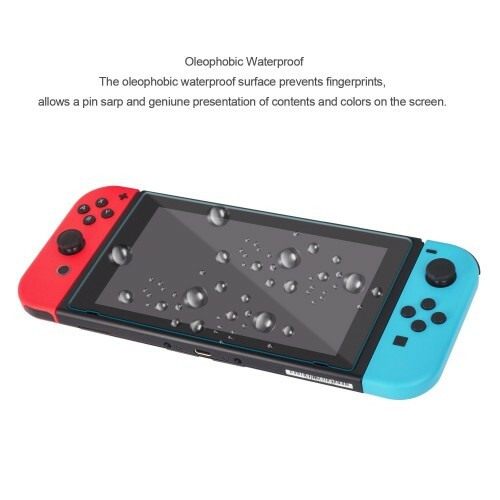 Perfect for Nintendo Switch- This 2-pack screen protectors are specially designed for Nintendo Switch game console. 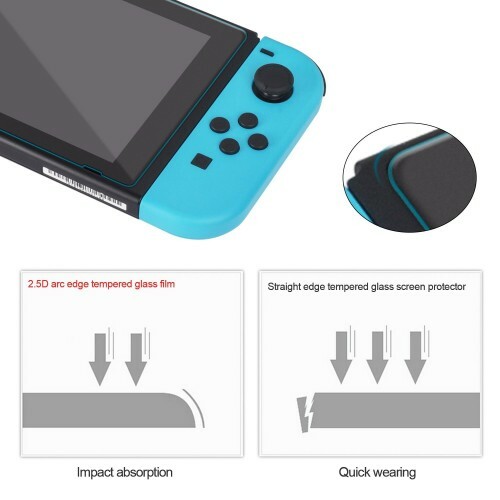 100% fully covered the screen and all the way down to the edge, provides the best protection to your switch console. 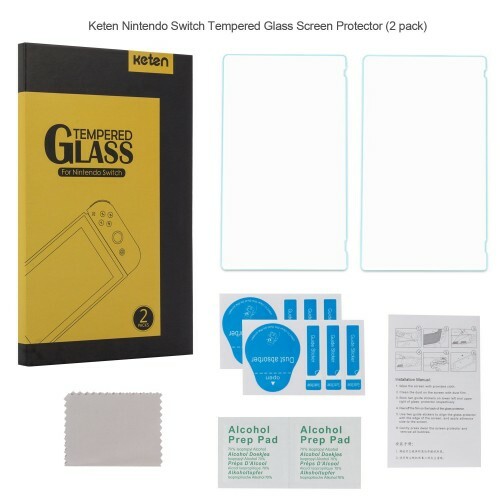 Easy to Install- This tempered glass screen protector is easy to install and adheres securely to your Nintendo Switch screen. 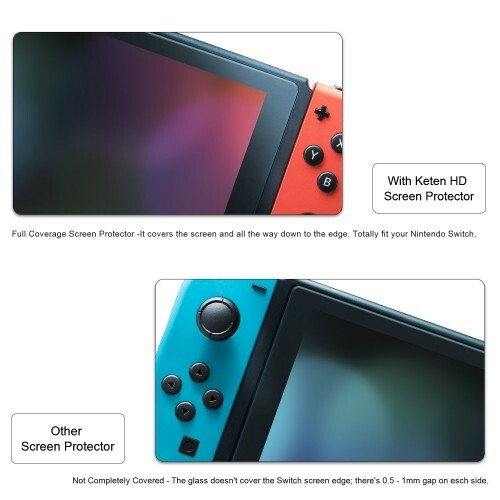 With the full equipment, this screen protector is perfect for Switch accessories. 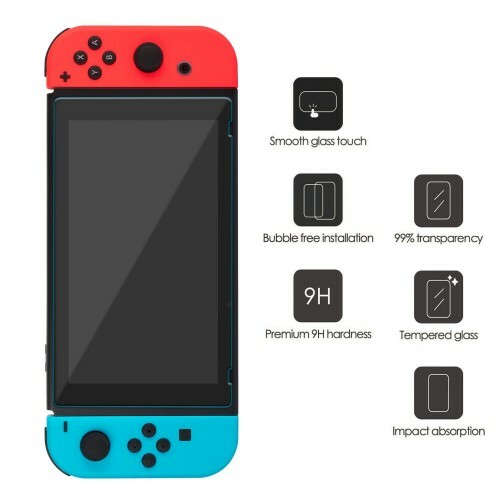 Flawless Clarity and Touch Sensitive- 99% transparency tempered glass preserves your Nintendo Switch's image quality for immaculate clarity. With its super thin design, the screen saver offers ultra-touchscreen sensitivity. 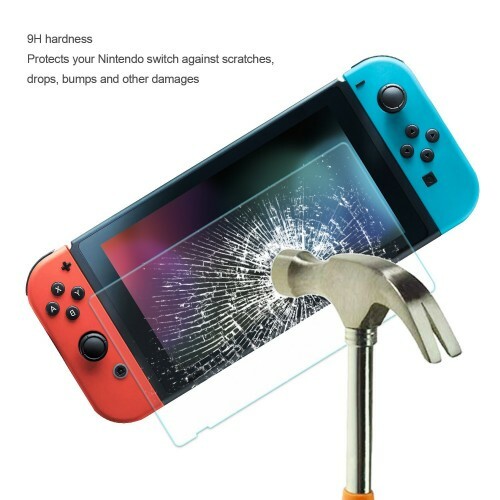 Durable Scratch and Smudge Resistance- The best glass protector with 9H hardness delivers maximum scratch protection. 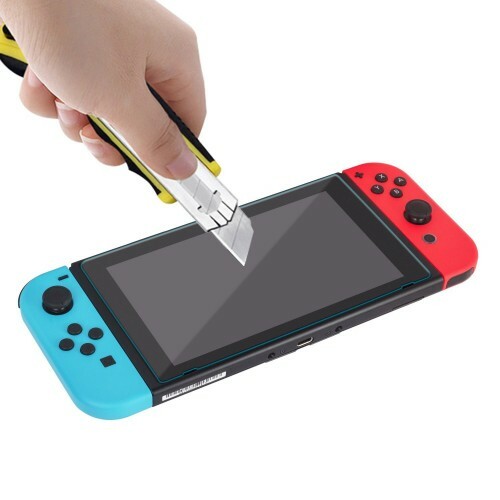 A unique, durable smudge resistant coating stands for a bright, smudge-free screen for your Nintendo Switch Game. What you get- 2 X Nintendo Switch Temper Glass Screen Protector, 2 X Wet Paper, 2 X Dust Removal Tape, 1 X Dry Cloth, 1 X Scratch Card. Keten offers 45 days MONEY BACK guarantee and LIFE TIME warranty. If you feel dissatisfied with our product, please just contact our customer service. Keten also provides 24-hour customer services. Whenever you contact us, we are still here for you.